Sorry this is being uploaded later than normal, I will explain in my weekly round up on Saturday. On to today's post and we're taking a look at this months Birchbox. Just look at how beautiful that box is. 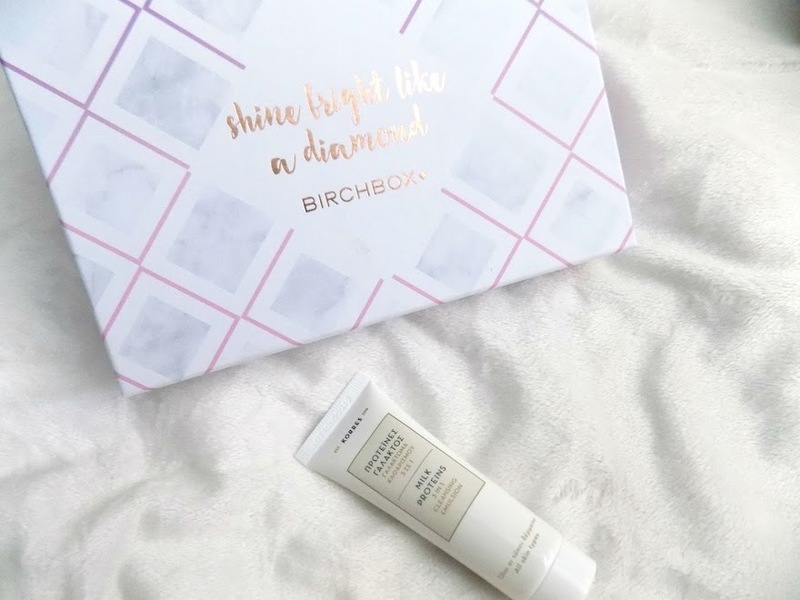 "Shine Bright Like A Diamond" is the theme this month and there is some great products in this months box so let's crack on. 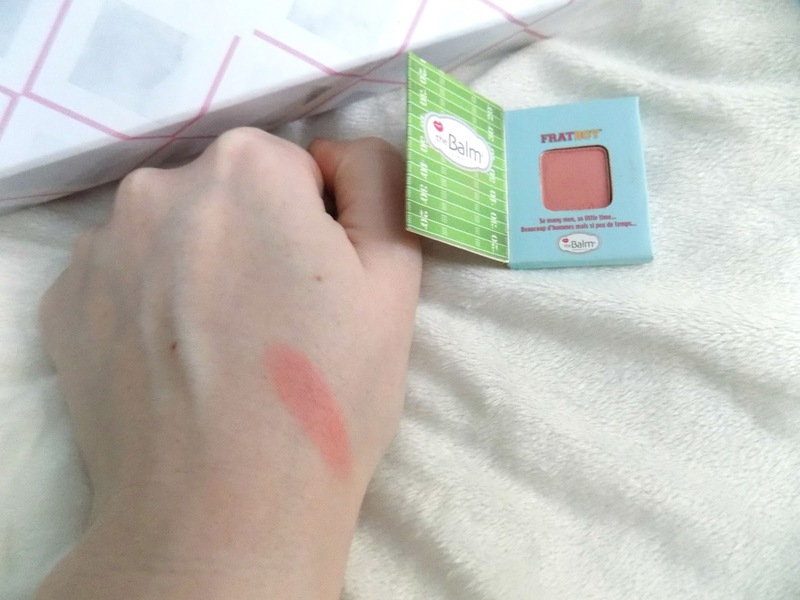 It's a matte blush but that just means it's great if you have some texture around your cheeks, or if you breakout a lot there. 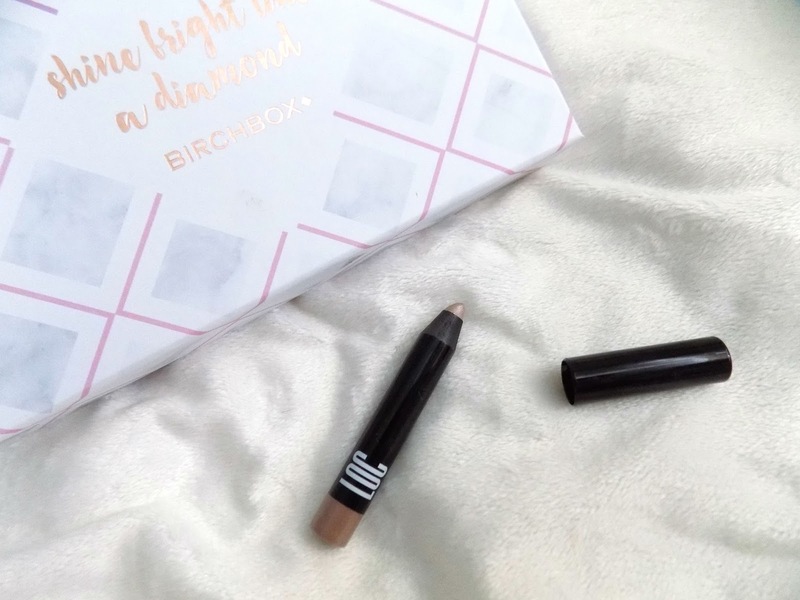 Plus it means you can use your favourite highlighter to add any extra glow. We had the option to choose which of the LOC (Love Of Colour) One and Done Shadow Stick and I chose the shade Champagne Problems which is a beautiful champagne golden shade. 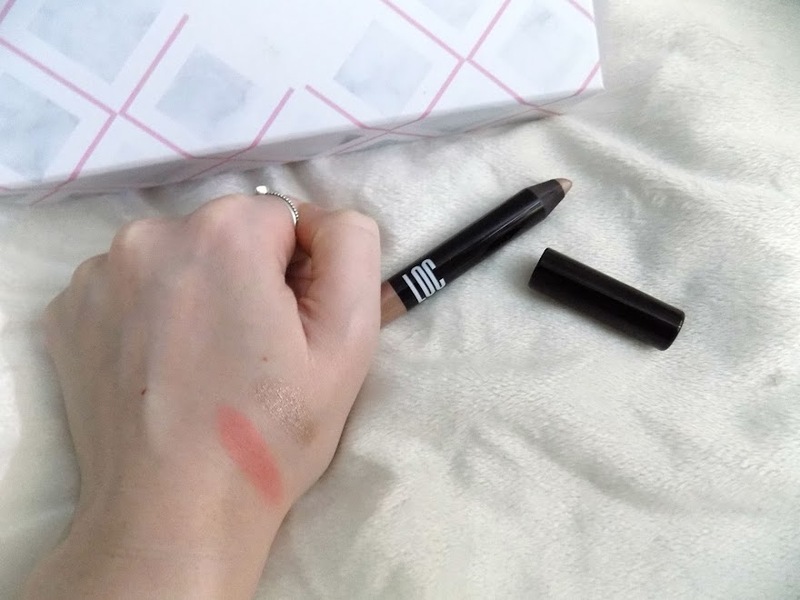 This looks so beautiful, it's super creamy and when I swatched this on my hand, it took me ages to get off, had to use an oil based makeup remover. They're £8 each and they are great quality and claim to have 11 hour wear, with no creasing. They're beautiful and I love that you can just apply them straight from the stick and blend with your fingers, no need for brushes. I mean c'mon look at how beautiful that is. This is possibly my favourite thing from the box. 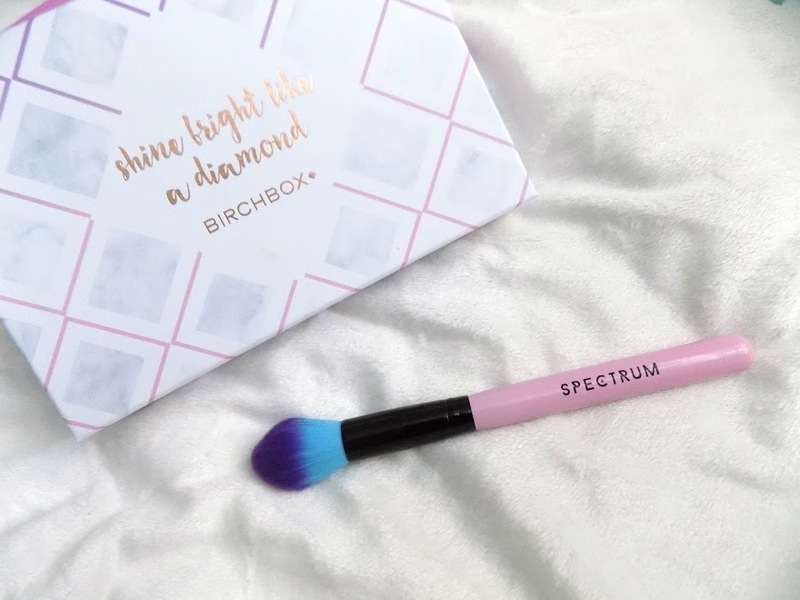 I love makeup brushes and this Spectrum Collections Tapered Powder Brush costing £7.99 is so super soft and multi-purpose. 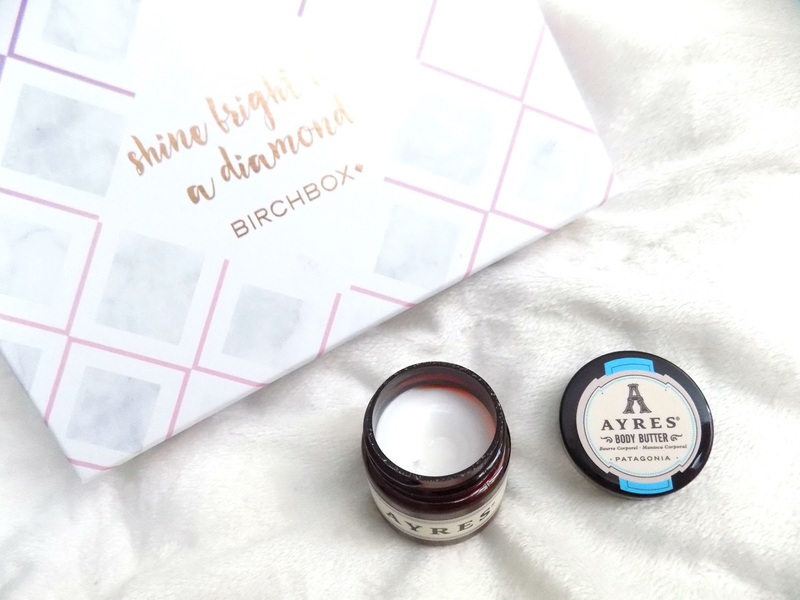 It can be used for powder to set your under eye concealer or your face, you can also use it for blush, bronzer and even a highlighter. I can't wait to use this and look at how beautiful it is. 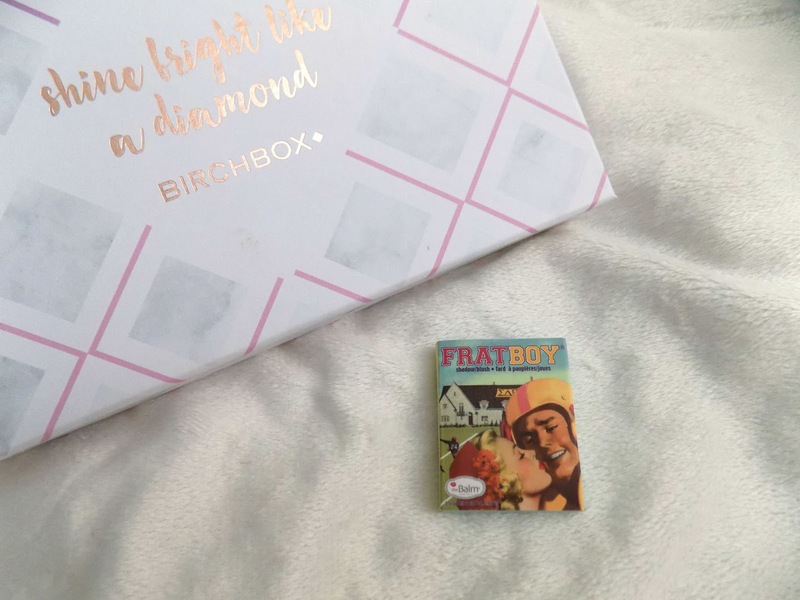 Love this, definitely think this is the best thing from this months box. I haven't really tried many Korres products, especially not skincare, but this Milk Proteins 3-in-1 Cleansing Emulsion says it's suitable for all skin types and is a gentle cleanser, toner and makeup remover, using it's blend of nourishing milk proteins and naturally kind-to-skin oils. This is a little sample but the full size is only £15 which is a pretty decent cost for an effective cleanser. This is the Ayres Body Butter in Patagonia (I have no idea what Patagonia is?) and it's pretty pricey at £19.50 for the full size, but this is a cute little sample that feels incredible on the skin. I have pretty sensitive skin and this doesn't seem to irritate it or cause any itching or anything which is always a great sign. There's Vitamin E, She Butter and anti-oxidants to soften and hydrate and then Jasmine, Lavender and Ylang Ylang that leaves a beautiful scent on the skin. 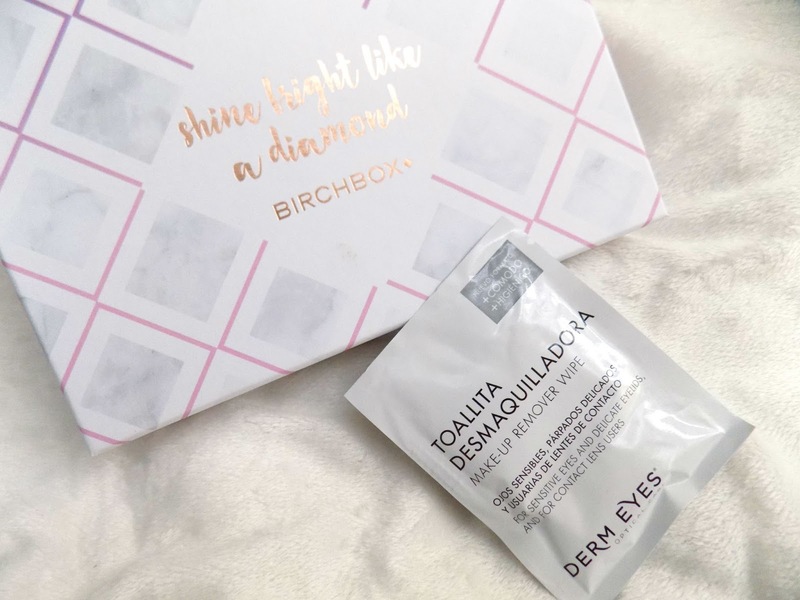 This is a makeup remover wipe, yep just one, from Derm Eyes and for the regular pack of wipes it's £9.50 which is pretty expensive for some makeup remover wipes, but they say it effectively removes traces of makeup, perfect for sensitive eyes and skin and hydrates without any irritation. 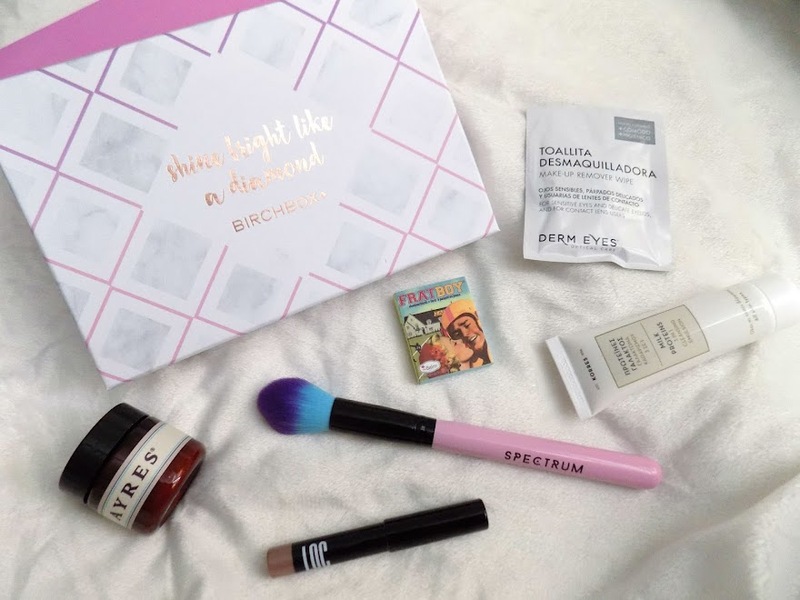 I am really loving this months box. 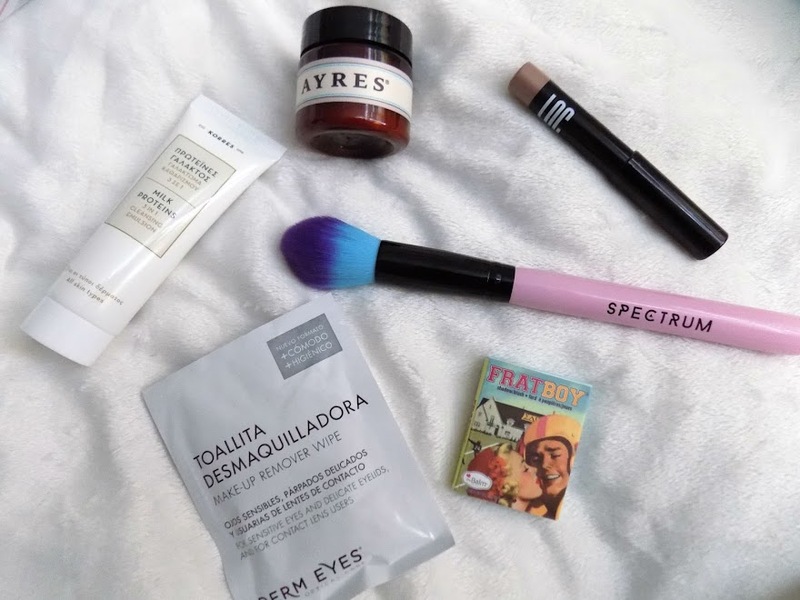 The makeup wipe doesn't really interest me as I don't use them but the rest of the products I am really looking forward to trying. Plus, how beautiful is that box. I love the song lyric on it and I really need to find a way to use it and show it off.